The Kilauea Point Lighthouse holds sentry on the rugged north shore of Kauai shoreline in what is the northern-most point of the Hawaiian Island chain. And did you know in 1927 that just a month after Charles Lindbergh flew the first transatlantic flight, two other pioneering aviators, Albert Hegenberger and Lester Maitland completed the first transpacific air crossing from Oakland to Oahi. 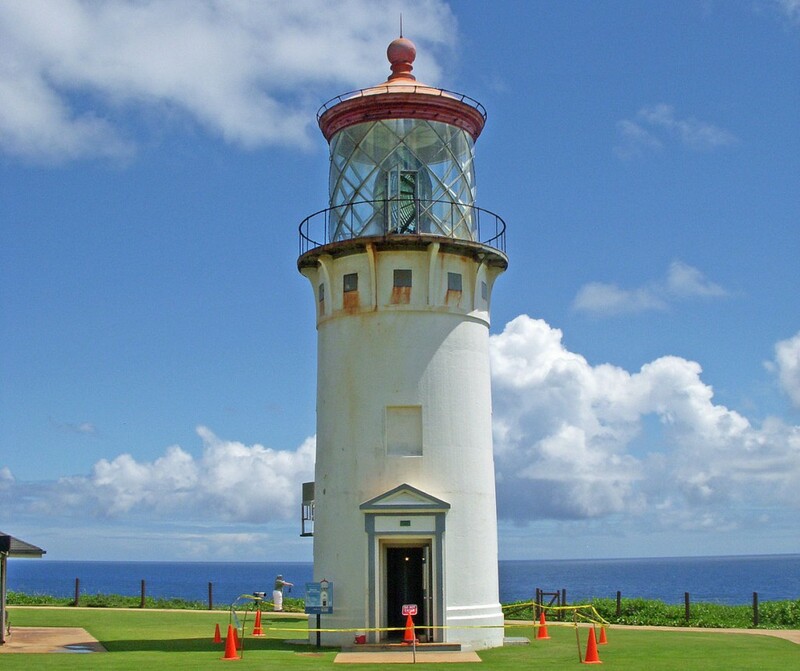 It was the guiding light of Kauai’s oil-vapored Kilauea Point Lighthouse that helped guide them. Actually, the oil vapor-powered light house was guiding mariners, and particularly those commercial ships traveling between Asia and Hawaii since its inception in 1913. The 52-foot high landmark continued for sixty-two years until the Coast Guard deactivated the lighthouse in 1976 and replaced it with an automatic beacon. In 1979 the lighthouse was placed on the National Register of Historic Places. 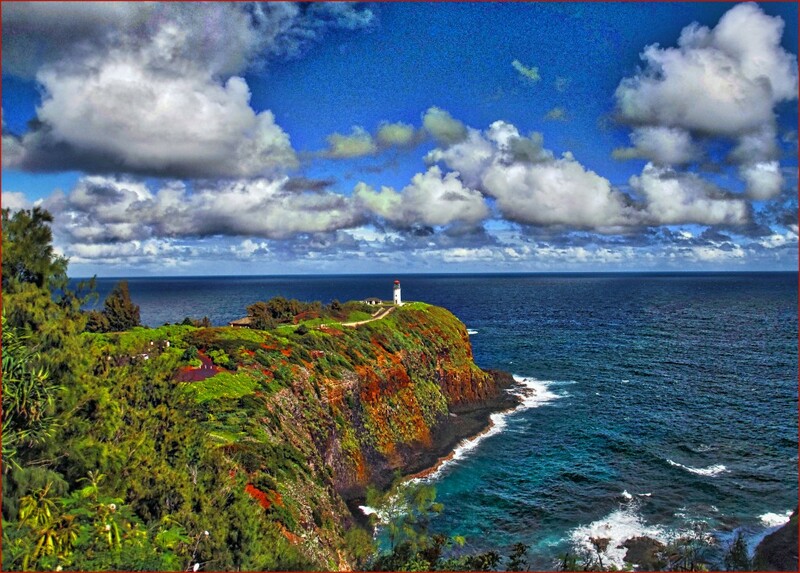 Today the area is protected and conserved at the Kilauea Point National Wildlife Refuge. Its rugged ocean cliffs and open grassy slopes of an extinct volcano provide protective breeding grounds for such native Hawaiian seabirds and nene, the endangered Hawaiian goose. The adjoining waters termed a National Marine Sanctuary likewise provide refuge to green turtles and Hawaiian monk seals, and humpback whales during the winter. You may access the Refuge by turning off the Kuhio Highway at the entrance to the town of Kilauea and follow the signs to the Kilauea Lighthouse. The refuge is at the end of the road. For more information refer to: http://www.fws.gov/refuge/kilauea_point/.